None present. In absentia, Sarah Linnes-Robinson relayed the concerns of one neighbor regarding traffic at 39th & Pleasant. Linnes-Robinson contends that overall traffic calming measures need to be examined. Saddoris asked if this was 35W-construction related, but Linnes-Robinson did not seem to think so. The Redevelopment Committee was determined to be the appropriate place to address some of these issues. Scott Bordon commented that the easiest way to create safer streets is by increasing pedestrian usage, bringing up the discussion of “Safe Routes to School”, a national organization that promotes walking to school. Jeff Bajek & David Potosky have resigned from the board. Alternate board member Alex Bauman appointed to the board by Sur. Diana Schleisman, the other board alternate, has been notified about the additional vacancy. Sarah Linnes-Robinson will follow up with her for December’s board meeting. November minutes: Parent commended Bordon for the thoroughness and clarity of last month’s minutes. Sur noticed several minor grammatical corrections which he will correct via e-mail with Linnes-Robinson. Motion by Arthur: Approve minutes. Second: DeParde. Unanimous (Sur abstains). September minutes: Motion by Arthur: Approve September minutes with notation that all votes recorded in minutes are accurate, but records of whom voted which way have been lost. Second: DeParde. Unanimous (Sur abstains). JobyLynn moves approval. Second: DeParde. Unanimous (Sur abstains). Linnes-Robinson reviewed 23 potential candidates, brought 7 to the Executive Committee for review. Three candidates were interviewed. The board approved an offer to the strongest candidate. If she declines, an offer may be made to the secondary candidate. Sur recapped that issue came up at Youth & Schools Committee (YSC) meeting last night, as the broad scope of the Committee, particularly in this time of Changing School Options, dictates a fair amount of information distribution. There are some concerns about whether this information should be coming from the neighborhood, whether it represents a particular agenda (pro-Community School v. general information). Knowles thinks the two different articles slated for the Kingfield Newsletter is appropriate for KFNA, as it both promotes the community school while accurately conveying options. Onsrud likened the dichotomy to the Farmers Market: while there are many markets in the City, KFNA promotes the local one and it’s critical at this time of transition to actively promote the community school. Sur believes that information is key and an informed neighborhood helps prevent some disenfranchisement of those that aren’t aware of the options, so full information should not be precluded in an attempt to push the community school. JobyLynn likes both articles, but has concerns that the Lyndale school article might seem too subjective and opens up the newsletter for criticism as being biased. DeParde states that it was important to remain neutral during the CSO process, but now that Lyndale is the neighborhood school KFNA should actively advocate for Lyndale. Bordon says that while there was a difference of opinion at the YSC meeting, he felt that there was no confusion about direction for the newsletter articles. Linnes-Robinson was trying to clear up confusion about what the focus of the Committee is (promote community school or try to represent all options available to Kingfield residents). Bordon shared that direction from YSC was that primary responsibility was to community school. YSC is concerned that misinformation might come from KFNA and information should be supplied by School Board. Onsrud thinks that school information should come solely from YSC. Knowles reiterated the importance of the Board’s guidance and the autonomy of all committees, such as the newsletter. Sur shared that he has concerns that the credibility of the YSC and KFNA will be compromised if there is a perception of bias or of withholding information. Bordon thinks that staff should not be spending time writing articles that should be coming from Minneapolis Public Schools and the article should only point people to district resources. Linnes-Robinson wants clarification on why she needs to be seeking approval for an article about an issue that has written about many times in years past, as she does not do this for any other committee. What is role of the neighborhood association in sharing the changing options? Onsrud shared his displeasure that the board did not wholly support the community school, a characterization which Sur, DeParde and SassilyJames immediately objected to. Bordon would like to see confirmation from MPS about veracity of information contained in Linnes-Robinson’s informational newsletter article, but otherwise is fine with the direction, and inclusion, of the article. Bordon asked for clarification of role of Committees within the structure of KFNA. He and some YSC members feel as though the Executive Director has free reign in regards to actions regarding the schools issue, sometimes at the detriment to Committee direction. DeParde referred Bordon to bylaws for relationship of Committees to Board, Staff to Committees and Staff to Board. Sur recommends that role of Committees would be best explored at the next board meeting, as some research and reflection (and additional time) would benefit the discussion. 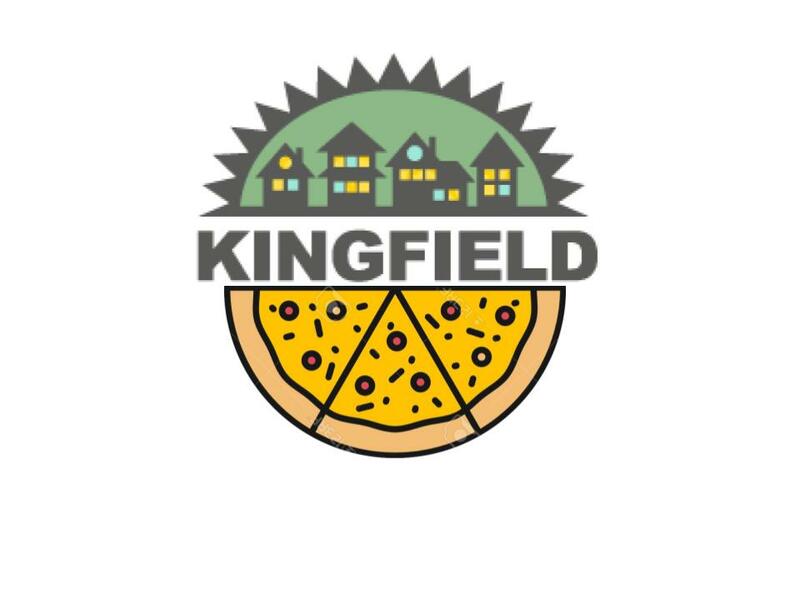 Amend item #6 “It concerns Kingfield as an Open Area for public schools;” to “It concerns public schools for Kingfield residents” Motion by Parent. Second: Alex. Bordon asked if intent could be wrapped up in another existing item; group decision was that it could not, with the possible exception of #3, but it could not hurt to enumerate. Unanimous (Sur abstains). Motion by DeParde: Arthur to be NRP electorate. Second: SassilyJames. Unanimous (Sur abstains). Linnes-Robinson ran through monthly balance sheet. New reimburseables are due in November. Linnes-Robinson asks for direction from board to ask for return of money repaid for housing loan program by end of year. General direction for the organization is to contract as much money by year end. Bauman discussed BFIP grants at most recent meeting and recapped the plans for the SE corner of 38th & Grand. Linnes-Robinson shared that the mayor announced at the Nicollet Square ground breaking that Nicollet Avenue will be re-done in 2012. Linnes-Robinson and Mark Hinds, the Executive Director of the Lyndale Neighborhood Association, will be meeting with public works soon to discuss process. The “triangle” option seems to have the most traction. While members of the Park department were present, formal process of including the Park Board has not yet begun. Explored ways of contracting the CEE and green commercial building money at the last meeting. Community Garden site planning begins this week. Should be at printer by the end of the week. Committee staffed the Farmers Market twice, with 8 different volunteers, with good results. Promoted movie nights at King Park with 60-75 people showing up. Efforts to make movie night a monthly endeavor. Committee to staff holiday Farmers Market. With Bajek’s resignation, DeParde to make a point to attend CPAS meetings. Committee had bonfire last weekend, with about 30 attendees. Motion to adjourn by Arthur, 8:57 p.m. If there is a second for the motion, Board member please vote via e-mail, replying to all. (And just want to add that, although I wasn’t at the meeting last night, I believe that KFNA has been consistent throughout this process that our role is to provide Kingfield residents with the best and most accurate information. That was our goal before the current attendance plans were settled on, and should be our goal now. I have heard many positive things about Lyndale, and believe that it can readily stand on its own merits). I believe had this article been distributed to the Youth & Schools Committee at our Monday Night meeting we could have resolved the issue at the committee meeting. Knowing Jackie Turner/MPS approved the article I believe addresses the committees’ concern about providing such information (I apologize to committee members if this is not accurate reading). I said at Board Meeting if Jackie Tuner approved it was okay with me. Further, I believe that we are “dusting up” over a relatively minor difference of perceived emphasis. I believe that we are all in essential agreement. We want to support our new community school and view it as a great asset for the Neighborhood. We also have many students from the Neighborhood attending some other schools and while promoting Lyndale school we should not ignore these other schools. The Board created (with the help of volunteers) a “Youth and Schools” committee, not a “Youth and Lyndale School” committee. The larger question of the relationship between the Board, its committees, and staff needs further elucidation, but again, I do not believe that we have basic disagreement. Lastly, I would like to again apologize for my extended outburst at the last Board meeting. It was sincere, to the point, and, I believe, justified. But it was not in “good form”.